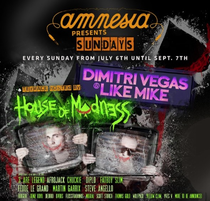 Amnesia in Ibiza recently announced, Amnesia Presents, taking place every Sunday with Dimitri Vegas & Like Mike, who will be taking over the terrace for eight weeks with an exclusive residency with their own House of Madness party. 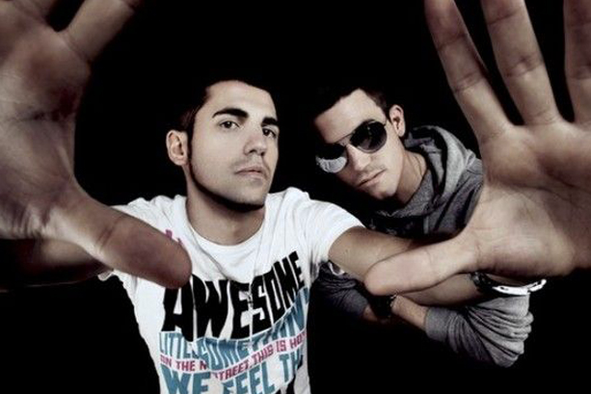 The duo have gone from strength-to-strength over the last few years, recently taking home a handful of accolades from both the Beatport and International Dance Music Awards respectively, including ‘Artist of the Year’ and ‘Track of the Year’ for ‘Mammoth’, whilst also being voted #6 in DJ Mag’s Top 100 DJs list. Inviting guests to join them over the summer, clubbers heading to Ibiza can expect to see the likes of Steve Angello, Martin Garrix, Fatboy Slim, Diplo, Fedde Le Grand, Chuckie, Yves V, Deorro, Wolfpack, Borgore, Dvbbs, as well as the recently formed group ‘3 Are Legend’ (Dimitri Vegas, Steve Aoki and Like Mike) live in action. Amnesia is a three times winner of the ‘Best Global Club' award.